Access to the Teaching + Learning Centre faculty + staff is through card access during regular Library hours. Make an appointment of drop by for training in using Emily Carr's instructional technology platforms of Moodle, Blogs, Wiki, Kaltura or for innovation research exploration and workshops on pedagogy and professional development. 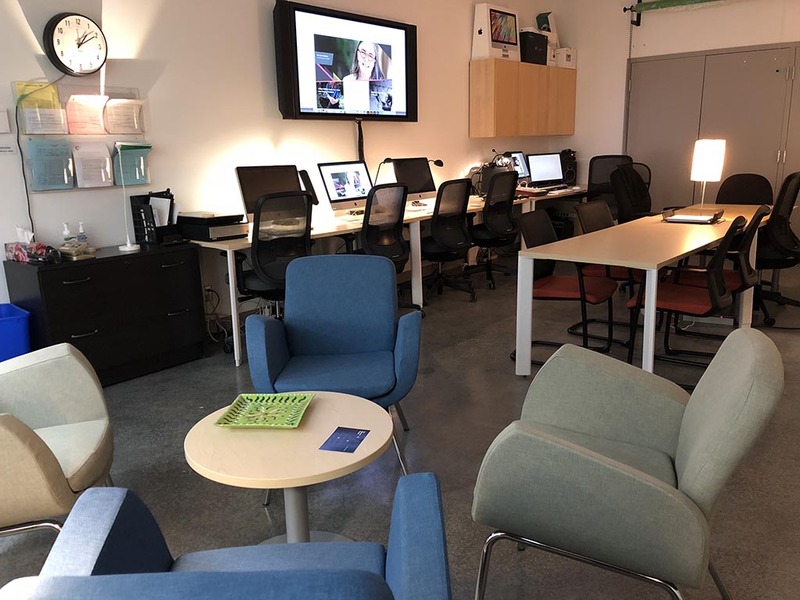 The Teaching and Learning Centre is located in Room C2250, on the second floor within the Ron Burnett Library + Learning Commons of Emily Carr University. The TLC is available to all staff and faculty during all regular Library hours. Additional support provided by the IT department.